Heather's Bag Pattern is a convenient to carry purse with lots of organizational pockets and an adjustable handle - carry to cross body or over your shoulder! 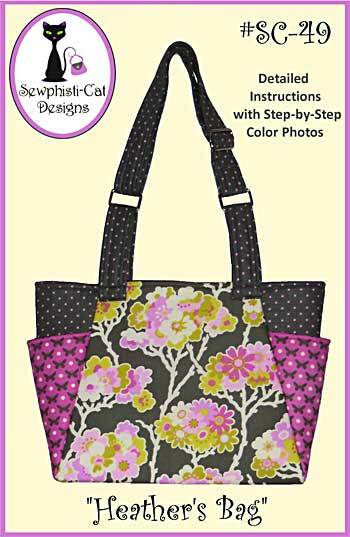 Heather’s Bag Pattern by Sewphisti-Cat Designs is an easy to make bag with detailed instructions, handy side pockets, as well as organizational interior pockets. 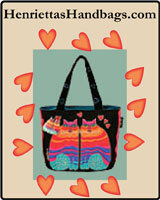 The handle is adjustable - carry this bag as either a cross body or a shoulder bag! 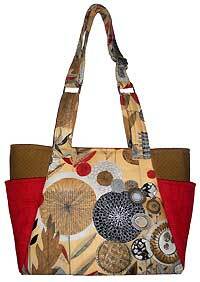 There is no bottom seam needed so this purse makes up fast! Finished size is 10”H x 16”W (at top) x 3 1/2”D. 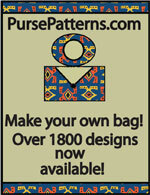 Heather's Bag Pattern has a total of 19 pages. There is a 1 page cover, 1 photo page, 1 page of a materials list, 10 pages of instructions and photos, and 6 pages of pattern pieces.